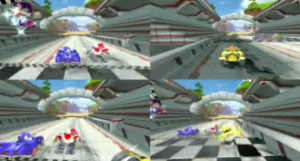 We’ve just had a scan through the new Wii trailer for ASR and at 1:18 you can see NiGHTS waving the checkered flag at the finishing line. It look’s like he/she’s going to play the referee role much like Lakitu in Mario Kart. Those who wanted him/her to be playable now have their answer why he’s not playable because he instead has been given the duty of official flag waver. What do you guys think of NiGHTS new job? Thanks to Doctor Eggman at the SSMB for sorting out those pictures for me. < Previous Post Previous post: Project Needlemouse: SEGA Teasing Community? In a way, the player controls NiGHTS as the player chooses when to cross the finish line and in turn causes NiGHTS to stop waving his flag. NiGHTS in playable = a collection burns. Uh….no Barry. That isn’t NiGHTS playable. You don’t directly control the character. So no collection burning :D. Why are you so set on that, anyway? Why? The ONLY reason Digi even said that was because he knew what he said was true. Because some men aren’t looking for anything logical, like money. They can’t be bought, bullied, reasoned or negotiated with. Some men just want to watch the world burn. 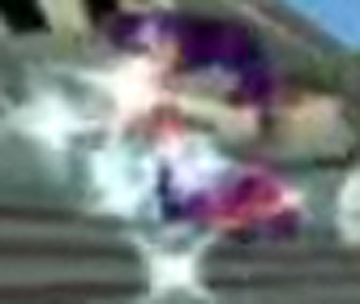 NinMicroSega….you mean nightsintodreams.com? lol I go there, too…. Here’s a question, is that the Saturn design or the Wii design? My hopes are for Saturn NiGHTS. Actually, that is bizzare. What, did the Outrun Flag Man demand too much moolah? Well at least he made it in .. right? Well, I guess a cameo is better than nothing. OK, I could be killed for saying what I’m going to say. Just on the record, NiGHTS was not in ASR when this campaign started. Period. During this campaign, the same folk who told me NiGHTS was not in came back and said NiGHTS had turned up as the flagman. I knew about this cameo for a little while now, even going as far as posting *waves a flag* at various places online, like the facebook group page where i mentioned for ‘future reference – *waves a flag*’. I knew about it but i wasn’t sure how SEGA and/or SUMO were handling the case. It would seem this campaign caused the cameo to occur as NiGHTS was added really late in developement. I’m totally hyped for NiGHTS as flagman. Wont it mean he’s technicaly going to be on every course? haha. The fact that his model has been created just means less work if DLC happens. This should give us more of a kick to ask SEGA for NiGHTS DLC. It just proves that they can actually listen to fans and give a damn. We’ve both known about this for a while and I’m very proud of it personally. From nothing at all to a big cameo thats impossible to miss. I know I’m happy with our campaign. Thats a shame, NiGHTS should have been in it as a playable character, but I agree with Trippy. 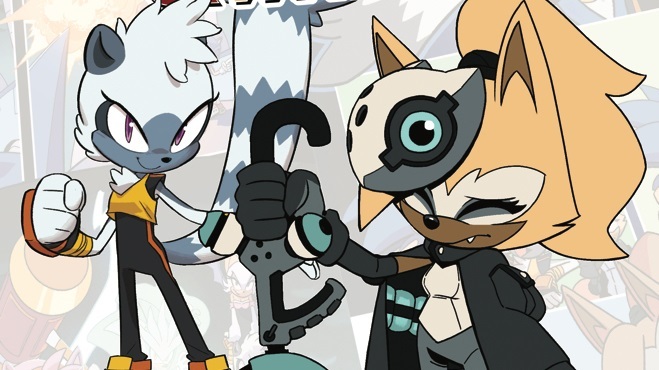 At least NiGHTS made it in and sega listened to the fans. Yup! Now they just gotta listen to us some more by giving NiGHTS his DLC. I really don’t understand what all the Wii owners are complaining about; at least you guys had an exclusive sequel to the original NiGHTS – us Xboxers and PlayStationers have nothing! Yeah, I guess it’s better to be the flag waver than not to show up at all. But it’s still a shame. I like to play as Nights in Sonic Riders, and I think I would too in this game. @ Trippy. Your right. It should gives us more of the kick to ask Sega to have NiGHTS as a playable DLC. Tell me what to do to get it done. Its unusual to have NiGHTS to have the flag job. You may call NIGHTS a “he”, but I guess that she may not interested in competiting. In fact, I hope that they will give NiGHTS her DLC. I always thought of Nights as being the “Tinkerbell” of Sonic Team, so I’m not surprised with Night’s role. I’m happy NiGHTS was someway included in the game, in the end (I guess my e-mail helped a little, TRiPPY 😉 ). Anyway for the flag job they could have used a Chao, and reserve NiGHTS as a DLC playable characters. lol I love when the characters “motivations” come into play during video game speculation. “Well NiGHTS would never want to wave a flag, he would want to join in the race!” If the character truly had free will, Eggman would have shot Sonic before the race even started. Better than nothing, but he really should be a playable. Well, at least (s)he is in the game! I was worried they forgot about himer! I would have thought (s)he’d be playable, though. Still, I can’t say I’m surprised by this. That’s a good way to put it. If Sonic is the Mickey Mouse, then NiGHTS would be the Tinkerbell! Oh well; we’ve still got Beat and BD Joe, right? It’s like NiGHTS is only a cameo character now. Amen to that, sir 🙂 The hang-on dude riding his bike… dang, I wouldn’t even bother playing as sonic or alex kidd!